Will Convict Conditioning make me gain muscle ? No. The book itself can’t make you gain muscle. But if you use the information that you will learn through this book and will eat enough you will gain muscle. You can read my thoughts on Convict Conditioning here. What supplements do you really need to get bigger? Focus on food. If you want to get bigger you will need a lot of food. Don’t bother with supplements if your diet is weak. Eat a lot of high-protein meals like meat, eggs, cottage cheese, milk, a lot of veggies, beans, lentils, peas, healthy fats from nuts, seeds, fish oil, flaxseed oil etc. You can check out my nutritional services here. How to make a kettlebell? Man, it’s not a good idea. Better buy one or a pair. Check out this page. Tons of options. Tire flipping, kettlebell swings, kettlebell snatches, log deadlift, log flipping etc. You can check out this post for my invention – Alex Zinchenko Deadlift. But if you mean bodyweight replacement then there is no such one. Try bridges, hyperextentions, broad jumps but that’s not the same. Why do people need supplements? Good question. Even philosophical. Actually people don’t need to use supplements. I mean average joes, not professional athletes. People think that if they don’t use any supplements then they will not achieve results. But the truth is quite contrary. Consistency and perseverance will make people achieve results, not N.O. boosters or beta-alanine. Supplements give confidence to weak people. But in the end results provided by supplements are not that big how everyone thinks. Better spend your money on food. Best workout to build big legs? 20-rep squats with barbell on your back. It will build HUGE legs in no time. Check out this article for more information. I need a bag to make a sandbag. Go buy one. Army duffel bag preferably. Here you can find precise recommendations on how to make a sandbag. Using kettlebells to build endurance. Oh yeah. You will build tremendous endurance with kettlebells if you use them that way. 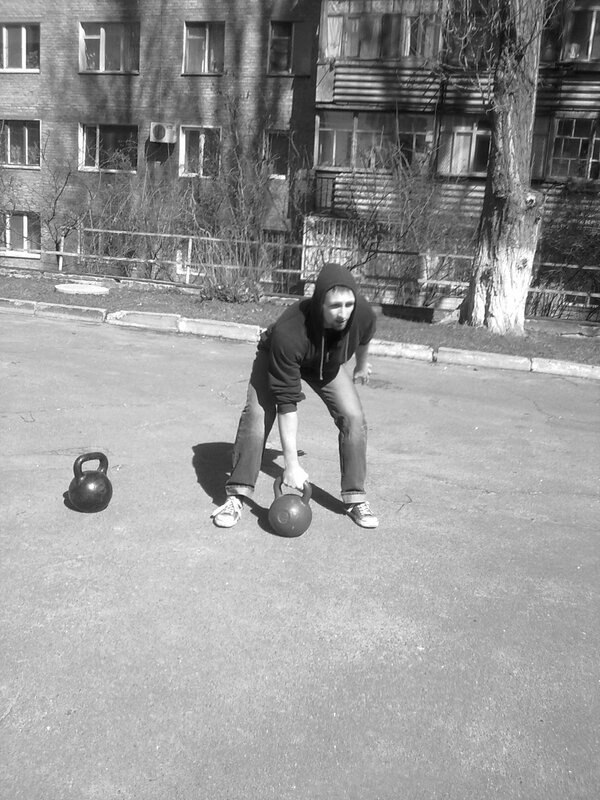 In fact girevoy or kettlebell sport is a sport of strength AND superhuman endurance. Clean & Jerk a pair of kettlebells for 10 minutes and you will understand what I mean. How heavy should sandbag be for training? It depends on your goals, strength levels and exercises in which you plan to use a sandbag. Again check out this post for instructions how to make an adjustable sandbag. That way you will be able to increase or decrease the weight of a sandbag depending on your goals. 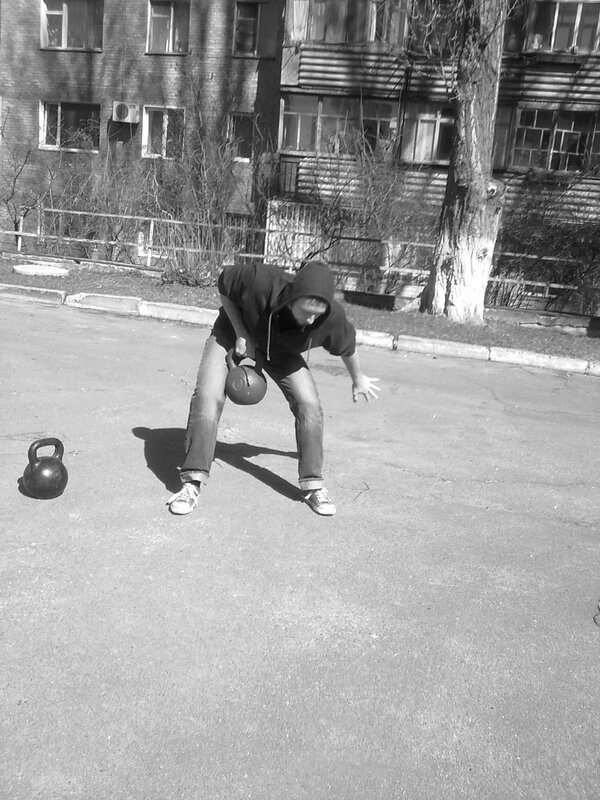 48 kg (105 lbs) kettlebell. Kettlebell one arm bent over row? Always wanted to try kettlebell training but didn’t know where to get these iron cannonballs? Now you have the unique opportunity to buy high-quality kettlebells from the best manufacturer out there. Kettlebell training will open the whole new page in your strength training. You can learn more on kettlebell training here. Kettlebells don’t lie. So why wasting time? Order one right now. If you prefer sandbag training you should definitely take a look at this piece of equipment. Ultimate Sandbag by far is the leader on sandbag market. It has handles that makes it comfortable for different presses, cleans, rows, deadlifts, even snatches. Sandbag is unique tool. You can read about it here. Try it and you will love it. If you like bodyweight training you should definitely buy these. High quality rings will add so much more variety to your workouts that you will be amazed right after the first session. EFX Rings are the leaders on the market. You can learn more about bodyweight training here. This product is definitely worth to be in your rough arsenal.